Food and entertainment critic for Southern California. Read more of Mark's reviews at www.outdoorcookingworld.com. Before cooking on the Left, after cooking on the Right. 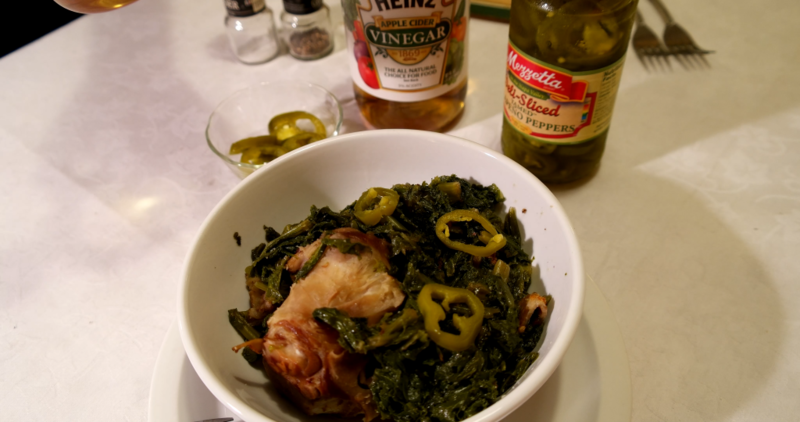 I developed this Turnip Greens recipe for folks who prefer a less acidic taste. 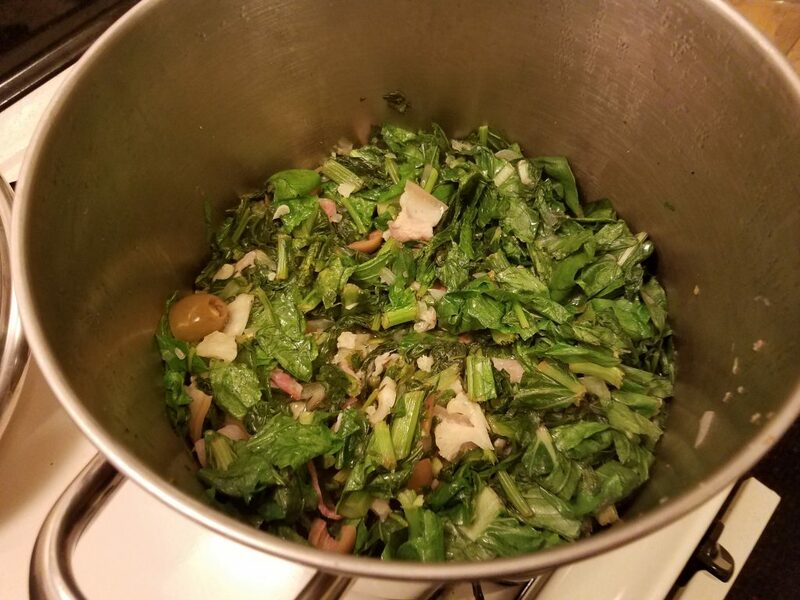 Reduced salt and less hot pepper is the key to how pleasant and flavorful these greens can be. Slice full block of Salt Pork into 1-inch squares. Add to pot and bring heat to low. Slice Yellow Onion into pieces about 1/2 long. 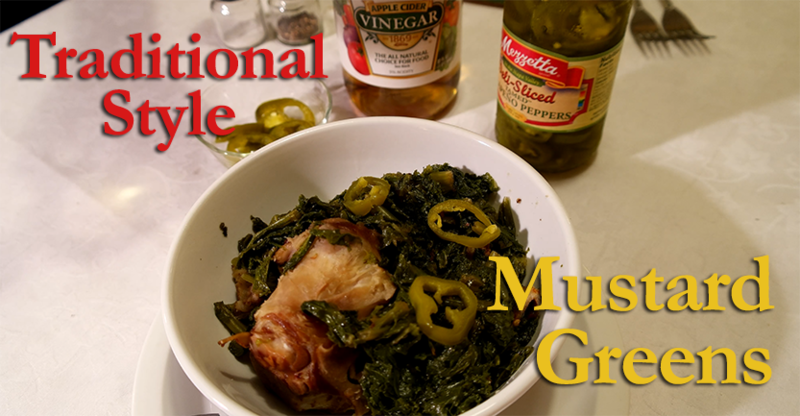 Add to the pot and bring heat to medium. Add finely sliced Garlic Cloves. Sauté on high until Salt Pork and Onion pieces are glossy. Look for browning bits on the bottom of the pot. 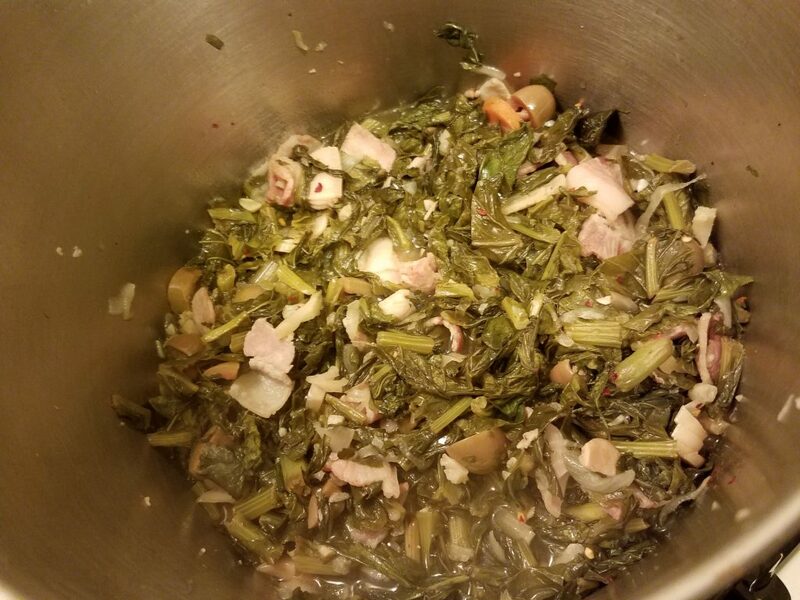 Add 1 pound of Turnip Greens, continue to saut sauté carefully on high heat. Cut the olives in half or into thirds. Add to the pot. Add Broccoli spears. Reduce heat to medium. Allow the first pound of greens to reduce. Stir to mix all ingredients. 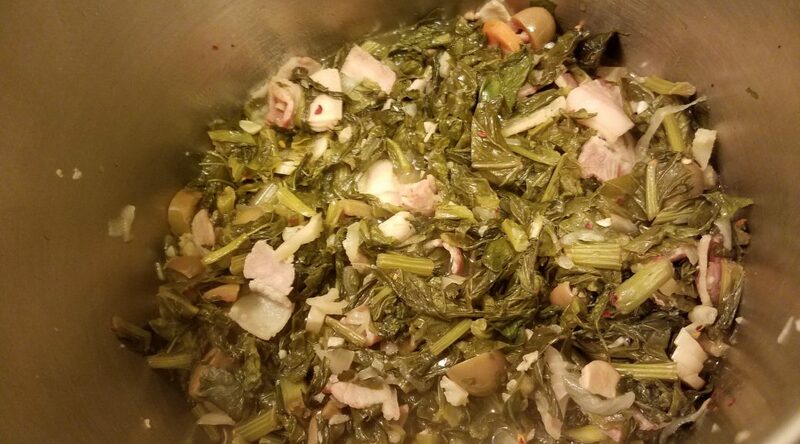 Add the second pound of Turnip Greens. Top with the Red Pepper flakes. Stir to mix. 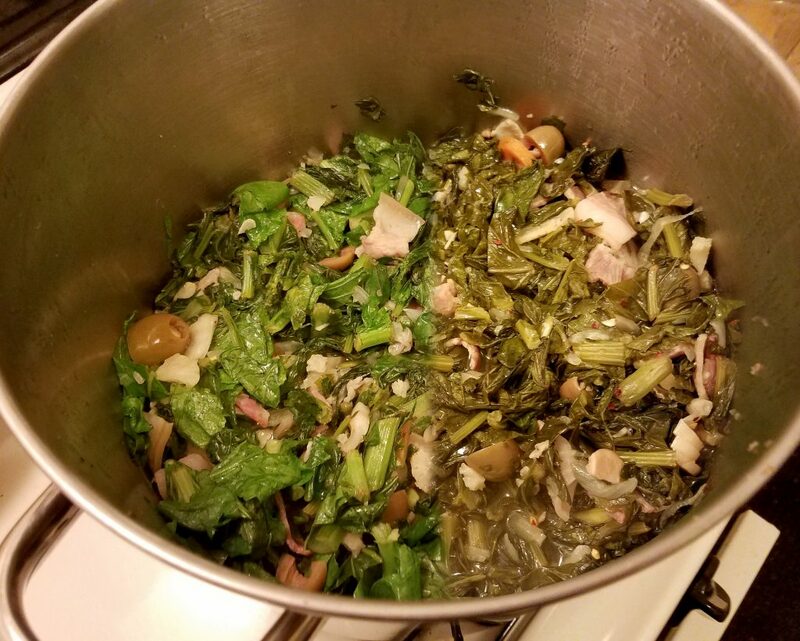 Place the lid on the pot. Simmer for 1-1/2 to 2 hours. And enjoy.